With our series Discovering Guatemala with Kids in full gear we visited the library to check some books out. A beautiful children’s book drawn from Mayan culture, and folklore. Have you ever asked yourself or your children where chocolate comes from? Well thanks to the Mayan king Kukulkán who brings to his people an amazing gift a chocolate tree! Nevertheless, the king’s brother the Night Jaguar doesn’t want ordinary folks to have chocolate since it’s a treat only for the gods. How will this tale end? This is a good book to introduce children to the Mayan culture. My child loves, loves this picture book! It’s a folktale on honesty, and selflessness based upon a Mayan tale about how the peacock got his beautiful colored feathers. The rain god wants to choose a new ruler who is selfless, and cares for the needs of his fellow birds before his own. However, the peahen pays no attention but still wants to rule. She steals the Chaac’s headdress, but the peacock knows that the headdress does not belong to her. Not being fooled by her, the peacock tells the Chaac and he decides to give all the peacocks beautiful feathers, and making the peacock the new ruler. Stay tuned for our next post on this series “muñecas quitapenas” Guatemalan worry dolls! I’m adding this to our Diversity Resource book list at the MCBD website. 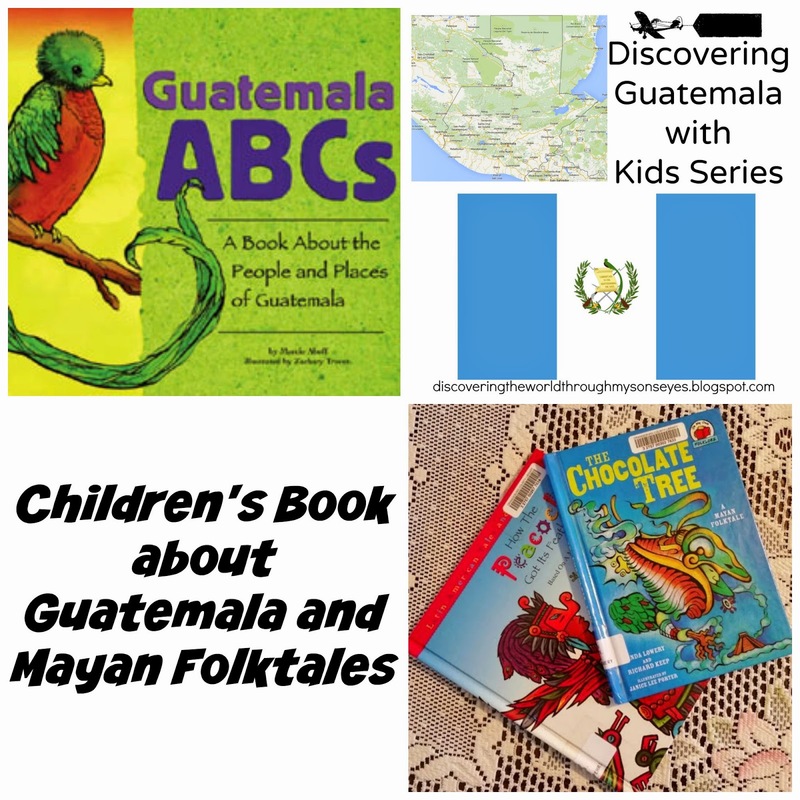 I need to find more books about different countries in Latin America so I am glad to discover your great post via the Multicultural Children’s Book Day linky! Thank you!